Investors thinking they know more than they do about investing could cause problems when it comes to their future financial planning. Investors could be missing out on billions of Euros in investment returns by over estimating their own ability to understand their investments. Schroders Global Investor Study 2016 found that only 13% of investors globally would admit to having a less than average understanding of investments. It found investors in Germany, the US and the UK were among the countries most prone to feeling this way. Of the investors polled globally by Schroders, 51% described themselves as having more understanding than the average investor – suggesting over-confidence. This might be costly. A previous study found that investors’ belief in their own investment ability had cost them around $300 billion dollars in investment returns over the last 20 years. This is explained further below. A $300 billion black hole is a large one to fill, particularly when investors are building wealth and planning for retirement in a world of slower growth and low interest rates. A solid understanding of the investment world would be an advantage in meeting those goals. Yet 63% of end investors globally could not correctly identify what an investment management company does. Schroders Global Investor Study 2016 found that investors in Germany, the UK and the US were most likely to demonstrate self-belief in their investment understanding. Investors in two of the world’s most populous countries were also liable to overestimate their own abilities. China and India, where the middle classes are burgeoning and the need for better financial planning is increasing, both have unrivalled faith in their own investment judgement. The survey results also show that millennial investors, those aged between 18 and 35, are even more inclined to over-confidence than investors aged 36 and over. Among millennials, 61% described themselves as having more understanding than the average investor compared with 45% of those aged 36 and over. This could be crucial to their future financial planning and ability to build wealth. The belief that we are all better than an average is not uncommon. The findings of the Schroders Global Investor Study 2016 echos a Swedish psychological study from the 1980s which examined attitude to driving ability. It found more than three-quarters of people rated themselves among the top 50% of drivers. The Schroders study shows just over half of global investors (51%) believe they have a much greater or slightly greater understanding of investments than the average investor. The study also found that investors potentially have unrealistic expectations in regards to the income they will receive from investments. On average, investors expect an income of 9.1%. This is at a time when most developed markets bonds are paying returns close to zero and the dividend yield on stocks is only around 3%. This income expectation supports the study’s finding that investors have too much belief in their own understanding of investments and this could contribute to a short-fall in their long-term financial planning. Dalbar, a Boston-based market-research firm that measures and evaluates practices of financial-services firms, found that over the last 20 years individual equity investors underperformed the market by almost $300 billion. Dalbar found that the leading cause of diminished returns was the investors’ own behaviour, such as panic selling and exuberant buying at the wrong times. Misplaced belief in their own investment capabilities could derail long-term plans, seeing investors fall short of their goals and forced to scramble to make up the difference in later life, or work for longer. On a positive note, investors are still keen to learn more. For the full story and interactive infographic visit www.schroders.com/gis . You can test your understanding of investments with our income IQ tool, which will reveal your behavioural biases and provide useful tips to empower you to make better investment decisions. 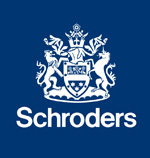 We would like to thank Schroders for supplying the above content.